SEO is constantly evolving with continual algorithm updates, ever evolving techniques and a whole load of dark magic that no-one understands… at least, that’s what you’re told. 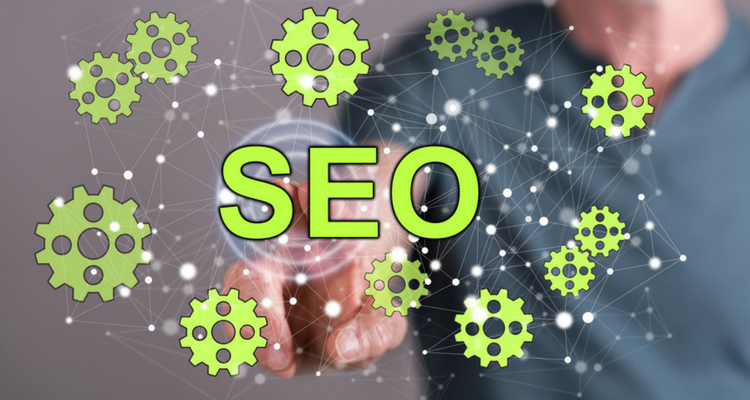 In reality, SEO is something that can be actioned by just about anyone, especially at a basic level, which allows you to have a crack and see how things go before investing thousands per month with an SEO agency. In this basic guide, we’ll cover on-page SEO, which is where you can get some of your quickest and easiest wins when trying to improve your rankings in Google. On page SEO is the stuff that’s written on your website, which is the most important aspect to SEO. Why? Because it’s what Google can read and actually understand when it crawls your site to learn, assess and rank your website. The title and meta description is the listing information found in a Google search. You get to suggest this information for every page on the website. For this website, on the homepage, we want to target the most general keyword which is “lawyers perth”, which you will see has made its way into the Title. 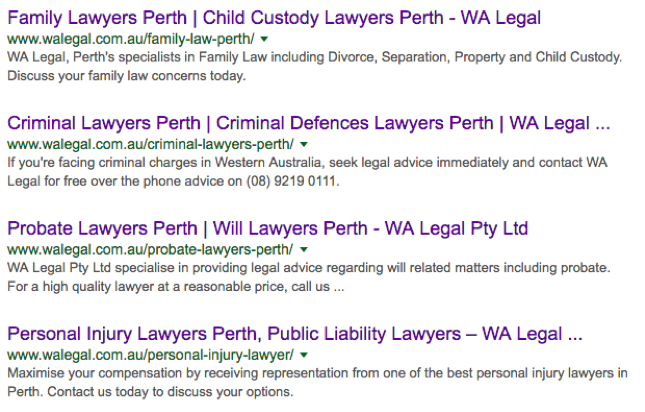 Having your main keywords in the Title allows Google to know that this is the main subject of the webpage, giving Google the confidence to rank this webpage higher under that keyword, as it’s likely to be relevant to people searching for “lawyers perth”. You will notice, taking a look at a few more Titles and Meta Descriptions from WA Legal, that there are keywords more appropriate to each page. 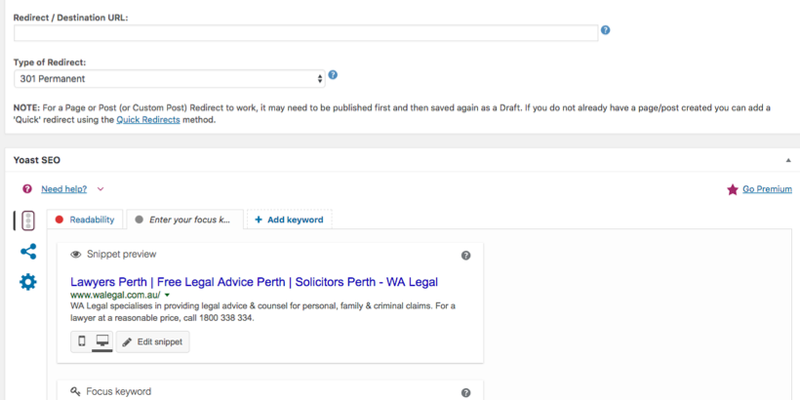 So, on the family law page, for example, the keyword “family lawyers perth” and “child custody lawyers perth” has made its way into that Title as the content on that page would again be more relevant to that keyword. The Title and Meta Description is usually accessible in most Content Management Systems (CMS), often filed as “SEO Details”. In WordPress, a plugin such as SEO Yoast will allow you to control the Title and Meta Description when editing each page. It’s ideal that every single page of your website has its own Titles and Meta Descriptions filled out, even if it’s just an About Us Page or the Contact Us page, as it helps Google understand all of your website’s pages (and the website as a whole) better. The Meta Description, whilst technically doesn’t provide any SEO value, can help with your click through rate. So, make sure your Meta Descriptions are punchy and encourage search users to click on your listing and not your competitors! Heading Tags are your main headings on a page. Using this website as an example, you can see on their page for entrance doors that their first (and largest) heading is “Entrance Doors Perth”. Now, most old-school copywriters would likely love to replace this with something a bit more clever and artistic – but that’s not going to help Google know what this page is about. 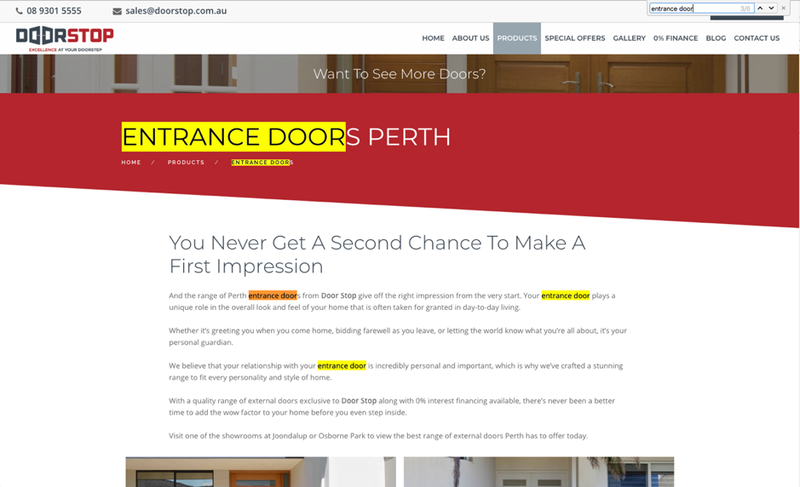 This heading tag, combined with their Title and Meta Description will help Google understand that whilst the whole Door Stop website may be about doors; this page, specifically, is about entrance doors allowing Google to show this page more confidently when search users type in “entrance doors perth”. There are also other words sprinkled throughout this body copy to assist these keywords in showing Google how relevant we are for entrance doors, such as variations of the word like “external door”. There and also other words you would expect to find in content about entrance doors such as “home” and “step inside”. Whilst these types of words aren’t actually variations of our keywords, it does help to prove to Google that the entire content is relevant to the keyword. This ensures that a webpage about a bakery doesn’t rank for this search term just because it has the word “front door” in its copy a few times. Google will only rank unique content. Copied content (duplicate content) from an external site, or even a page from within your own site, will never rank as well as unique content. In fact, duplicate content can even get you punished by Google, depending on how bad it is. Being a mobile service this business is not restricted to a physical location and therefore wants to rank in multiple suburbs around Perth. In order to do this, we have to have a separate page for each suburb that we’re targeting. Because keywords like “electrician ballajura” or “electrician nedlands” are a bit on the tough side to rank for (especially compared to websites of electricians who are actually based in that area), we’ve had to create around 600 words of content. You’ll notice that in a comparison between the pages for Ballajrua and Nedlands, whilst the content may be similar in nature, the wording is completely different and passes as “unique”. Having unique content has allowed these pages to rank strongly and fairly quickly. There are some electricians who have suburb pages as well, but have the same content across each one, with just the suburb words being replaced on each different page. Whilst some websites that are doing this may get away with it for now, it’s only a matter of time before Google slaps them down. Before, Google would look at each page on its own and rank it on its own merits, regardless of what was on the other pages of the website. Now, Google looks at the overall quality of the website and ranks it, and its individual pages, accordingly. So, if you want the best results when DIY’ing your SEO, make sure you’re improving the on-page efforts of every single page and not just the ones that you want to rank in Google. Andrew Doyle, owner of Doyle Digital, takes his experience in Western Australia's largest advertising agency, digital agency and media publisher and combine it to offer the SME market one of the most well-rounded search marketing freelancers in the country.